So far, so great! Any boot that is comfortable, dry and warm when bushwacking in 6" of snow on steep terrain gets my approval. A bit expensive, but you get what you pay for. If you are looking for a 4 season hiker that can stand up to a load and keep you on solid ground, the Zamberlan Vioz is it. I buy most things online, but I always like to try on boots before I give up my cash. This trip took me to a few stores, but I settled on the Zamberlan Vioz at REI. After a gift card promo, they were about $260. 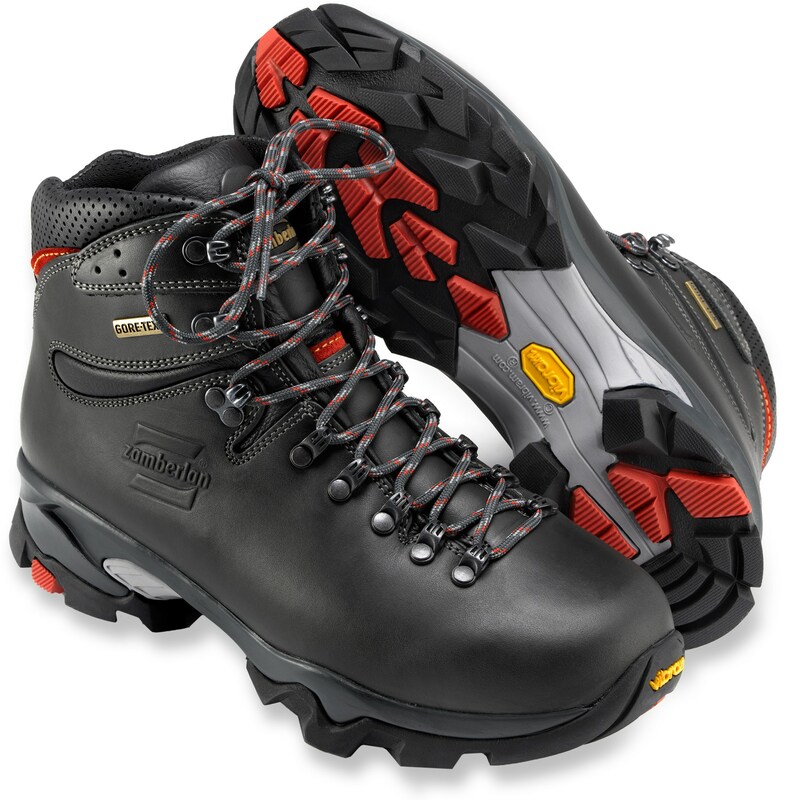 Not cheap, but I wasn't looking for a cheap, lightweight hiker - I want a sturdy boot that can support me and my heavy pack. I took my son on a short winter hike to start breaking these in. It was the first sunny day we've had in a while so we hit the hill behind our house for a steep climb through 6" of snow. There isn't a trail and the ground is covered with sagebrush, rocks and juniper trees. I was impressed with the traction of the Vibram 3D sole. I had to do a bit of pulling and slowing my young son as we made our way up and down the hill. I was happy to have enough traction to stop both of us. I waterproofed my boots a few weeks ago and it paid off. With a wool sock, I was 100% dry and comfortable in the Zamberlan Vioz. They are a bit stiff, as other reviews online noted, but not anything I'd complain about. They are a heavy boot, I expect that I guess. They fit great, will take a little to break them in but I didn't have any issues with how they fit. No hot spots, slipping rubbing, etc.